The environment that we live in can contribute to our success, health, and harmony. Having a healthy and balanced surrounding can bring an abundance of growth and opportunities in life. Living in a poor environment could be a reason for struggle life. Space healing is a unique combination of ancient and modern energy alignment techniques. These techniques are practiced to make your body and mind more clear & awaken. Disease or disharmony strikes, when energy around you is highly polluted. A great benefit is – you can identify opportunities, capitalize on them and, also fulfill your true potential. 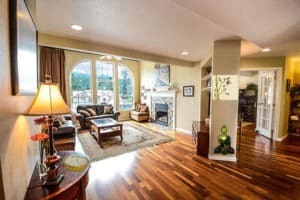 We use map/photo dowsing & photo energy scan techniques for long distance space healing. We use the dowsing rod, dowsing pendulums and photo energy scan for the physical space healing. Every premise can be divided into five energy zones. 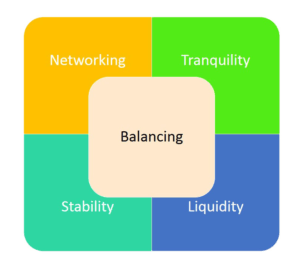 These five zones are Tranquility zone, Liquidity zone, Stability zone, Networking zone, and Balancing zone. Every individual room should be further divided into five sections. To enhance and realign a space, we need to purify and enhance a sector which is affected by the negative & polluted energy. Based on the analysis, we use different techniques for space healing for home or offices. Natural crystals, rocks and, also gems. Crystal is the living language of mother Earth. Moreover, they have been used for millennia to heal mind and body. It brings the harmonious vibrations in your personal space. For example, Simply placing a smoky quartz crystal between you and source of electro-stress can calm the harmful vibrations. Element Paintings, Artwork & Objects. Artwork or paintings in your home or workspace brings inspiration, coolness, creativity, and also comfort in your personal and work life. A painting around us influences on a daily basis, whether you realize or not. Colors (enhances every aspect of life). Colour surrounds us, and each type of color gives off subtle vibrations. For example, If you walk into natural surroundings, you most often feel at peace because there is a balance of colors. However, when you walk into a dark lobby, you feel scared and alone because the color is absent. Negative energy can be cut off by using proper colors. Mostly it is based on the personal element of a person staying there. Plants. Plants bring nature to your environment. For example, Bamboo plant can ward off negative thoughts and promotes as well as resilience. Jade plants attract prosperity. Plant instead brings live energy to space. Sound therapy tools. Most important, theses tools maximize the healing effect of positive energy. Sound tools like Tibetan Om bells or singing bowl are wonderful instruments to bring tranquility in your space. Metal cures. By using various types of metals like Zinc, Brass, Copper, Silver, Gold, Bronze, lead, etc., space can be realigned or reset to a positive mood. For example, bronze metal in networking zone improves the networking capabilities and business contacts. A floor plan copy with an accurate compass reading. A site map of the property indicating all road, surrounding structures. Photograph of the property required space healing. Details on surrounding i.e. water body, mountain, hill, religious place, etc. Details on life challenges, issues and problems at current location. Suggestions to implement by you for space healing using various kinds of energy correcting methods. At our end, we will do a remote healing and energy clearance on your behalf in a single or multiple session based on the type of consultation selected. Kindly send your house or office layout plan ( or hand sketch) with your concern or queries to get our consultation quote. We assure you that all information provided will be treated with the utmost confidentiality. We have provided space healing consultation (part of Vastu consultation) in countries & cities like Ajman, Abu Dhabi, Dubai, Sharjah, Muscat (UAE), London (UK), Washington, New Jersey, Indianapolis, San Francisco, San Diego, Chicago(USA), Germany, China, Bangkok, Pattaya (Thailand) , Colombo (Sri Lanka), France, South Africa and also Japan.